Join us as we experience the last phase of the Solar Decathlon 2011 Competition! The CONSTRUCTION phase! 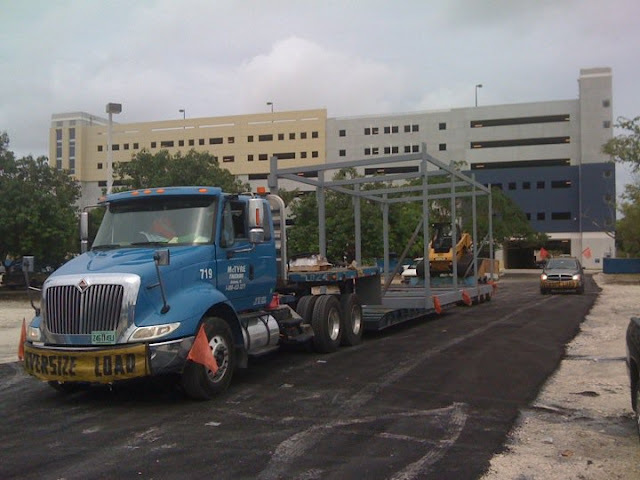 Today, June 30th the steel cages were delivered to the site and the whole team is very exited to begin with the construction of the Perfom[D]ance House. Meet Luis, Alvaro and Manny as they welcomed the Steel Frame to the job site!